Save Home Health Care: Serving the Coastal Bend since 1996. We are your trusted provider for Home Health Care. Call us for information on how we can care for you or loved ones. Looking for a career? Click here to apply now! Questions about services or careers? 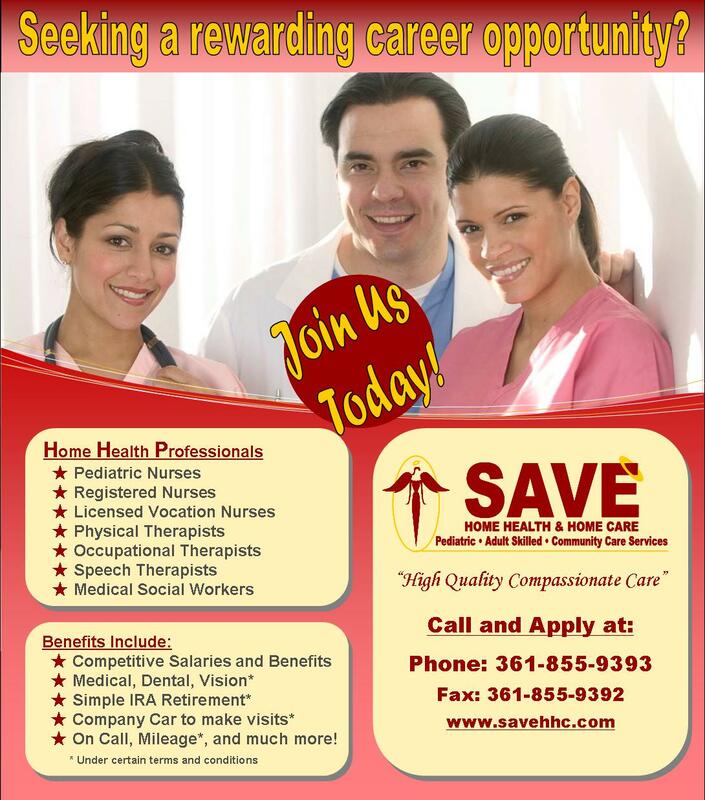 Copyright 2013 © Save Home Health & Home Care, Inc. All Rights Reserved.